British Petroleum (BP Australia) is British Petroleum multinational Oil and Gas Company. This company has headquartered in London, England to provide is oil and gas services. The CEO of the company is BOB Dudley who has been making vigorous efforts for the business functioning of British Petroleum ( BP Australia). This company had to face a several problems and issues due to its non applicability of accounting programs and reporting standards. British Petroleum (BP Australia) is largest company has found several accounting issues and accounting procedure under fire by investigation of US politicians. The Edward Markey, a democrat member of US House of Representatives said that it is world class accounting scandal. In this scandal British Petroleum (BP Australia) was accused of using very small sum provided by the organization to clean up cost at Alaska ‘s north slope development which could reach $ 6 Bn. In order to identify the actual problems and accounting issues and reliability, all the data has been collected from the different sources and articles published in newspapers or at any other places. It is multinational oil and Gas Company which is having headquartered in London, England. It is the largest division is BP America in the United States. This company has been operated under the guidance of Bob for the betterment of oil and gas industry. However, company has been following several accounting policies and accounting standards for preparing its financial statement in determined approach. In the recent case of British Petroleum (BP Australia) it is observed that company has been facing several problems and accounting issues. In the recent case it is found that company has indulged in scandal of cleanup cost at Alaska‘s north slope development which could reach $ 6 Bn. These problems have arises due to less effective internal control functioning. Different international accounting standards accompanied with different reporting requirement of countries results into various accounting issues results into discrepancies in the financial reporting problems (Wyatt, 2010). British Petroleum (BP Australia has been preparing its financial plan to acquire at least 15 % international market share around the globe. British Petroleum (BP Australia) has been facing several accounting issues in its internal control system. The audit committee of the British Petroleum (BP Australia) identify that sources available for the purpose of the organization was mislead to other purpose and only $ 6 Billion was used to Alaska‘s north slope development of the organization working system. This malfunctioning has been identified as management and reporting issues. These misguide of funds and non availabilities of information has provided that company has been facing drastic problems in its internal control system and accounting reporting principles. However, company has been using materiality, going concern and matching concepts in preparation of its financial statements as per the international standards of reporting. But due to non effective functioning of management department and internal control system it has become hard to find true and fair data of the cash inflow and outflow (Baba, 2014). Conceptual Framework: Financial Accounts and statements should be prepared on the accounting concepts. Accounting concepts are rules that should be followed by companies in preparing financial statement and accounts. .Accounting system of the company adopt following accounting concepts to provide clear, full, reliable and complete information to management, investors and other stakeholders of the company. Accounting concepts are not followed by company then problem of analysis, interpreting, and reporting financial statements will arises. To make fair view of financial position it is compulsory to adopt these accounting concepts. Accounting concepts includes going concern concept, business entity concept, reliability, Accounting period, relevancy in information, comparability and understand ability etc. Going Concern concept: while preparing financial statements of the company it is assumes that company will continue its business for long time period and serve society with its services in future also till problem related with insolvency will not incur. So, the accountant does not take into the sales value of assets while valuing them annually. Dual Aspect Concepts: Accountant should keep its records as per dual aspect concepts. Dual aspect concept means every financial transaction affects both debit and credit side of the accounting statements. Accounting period concepts: accounting period means keeping records of financial transactions of the company related with specified time period. Financial statements like income statement, balance sheets are prepared annually by the company. Reliability: Company should prepare its account on the basis of reliability and met the objective criteria of company. Every financial transaction should have some evidence which provide users faith and create trust on the information provided. Money Measurement concept: All the transactions recorded in the financial statement should be in monetary term. All non monetary terms cannot be presented in the financial statements. Monetary transactions include purchase, sales, revenue, tax and other expenses etc. Entity concept: While preparing accounts company should be treated as separate entity from its owner. Transactions related entity is only recorded in the books of accounts and any monetary transactions between owner and business entities are recorded in the financial accounts of business. Presentation of financial statements of the company should be comparable with previous financial accounts and with financial statements of competitive entities (Casabona, et., al., 2014). Generally Adopted Accounting Principle (GAAP): Generally accepted accounting principles are providing framework for accounting standards, rules and procedures which are generally adopted by all companies operating in United States. British Petroleum PLC follows UK GAAP in presenting financial information. GAAP is compulsory for trading companies it covers revenue recognition, balance sheet item classification and share measurements. British Petroleum uses GAAP and non-GAAP measures in reporting of financial results. Accounting Policies: Accounting policies are specified rules and procedures developed by management of the company as per the prevailing provisions of GAAP and IFRS. These policies provide guidance in financial disclosures of the company. Any change in accounting policies are also be disclosed in financial statement so that user can consider it while taking decisions. Company adopt accounting policies in relation with following transactions (Gîju, 2015). These all fixed assets are shown at their cost value less accumulated depreciation. Inventories other than stock held for trading purpose are stated at lower of cost and net realizable value. All the financial leases are capitalised at the commencement of lease term at the fair value. Company shows all the loans and receivables at their amortized cost using the effective interest method in the case of time value of money is important. The amount of contingencies and provisions are determined by discounting the expected future cash flow at a pre tax risk free rate that shows current business marketing assessments. It includes deferred bonus arrangements which are valued on actuarial basis using credit method. The cost of this transaction is measured on the basis of fair value of the date on which equity instruments are issued. 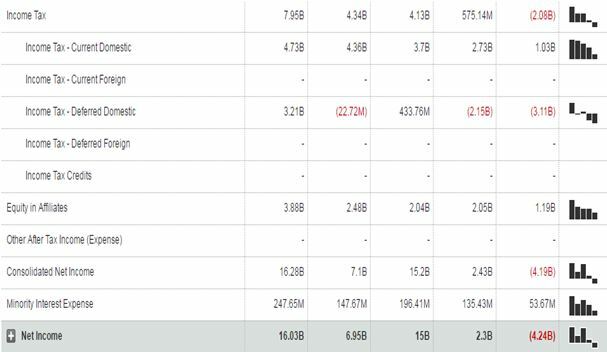 This company issues its financial statements on annual basis in its annual general meeting. A financial statement is accompanied with all the general information which is ideally used by creditors and investors to make investment decisions. In this report a complete adamantine study has been prepared over accounting issues and accounting standard in preparing financial reporting of British Petroleum (BP Australia. By investigation of this case study it is observed that this scandal has been emerged due to delayed reporting of operating expenses. In addition to this other cases which has been identified that company is having a lack of quality of team members in its internal control system. This is also observed that This Company issues its financial statements on annual basis in its annual general meeting. A financial statement is accompanied with all the general information which is ideally used by creditors and investors to make investment decisions. In this report a complete adamantine study has been prepared over accounting issues and accounting standard in preparing financial reporting of British Petroleum (BP Australia) has been pacing several problems in its accounting programs. Break even points and other inventory management tools provides that company has been facing non functioning in its inventory management and recording wrong inventory data (Gross, et., al., . 2015). Vendors and supply chain management provides required information very slowly that results into loss due to changes in value of currency. All the property in of British Petroleum (BP Australia) has been recorded at the cost value. Ideally as per international accounting standard it should be recorded at market value for true and fair view of balance sheet. All the records and data have been recorded as per London accounting standard. However, Company should have followed international accounting standard and GAAP rules for the preparation of financial statements. Company has to records it’s all profits and losses of the different time period for identifying the performance on quarterly basis. British Petroleum (BP Australia) entered into contract with its manager in its supply chain management activities without any prior disclosure to financial reporting authority. Company has been paying 40 % of tax to several counties due to international functioning. Therefore it should enter into double taxation avoidance agreement with other countries. British Petroleum (BP Australia) needs to evaluate the functioning of internal control system of the organization related with recording and keeping of financial data. Ideally internal appointed audit has to identify the risks related with the business functioning so that all the risks and problems in financial reporting could be managed in determined approach (Marland., et., al., 2015). 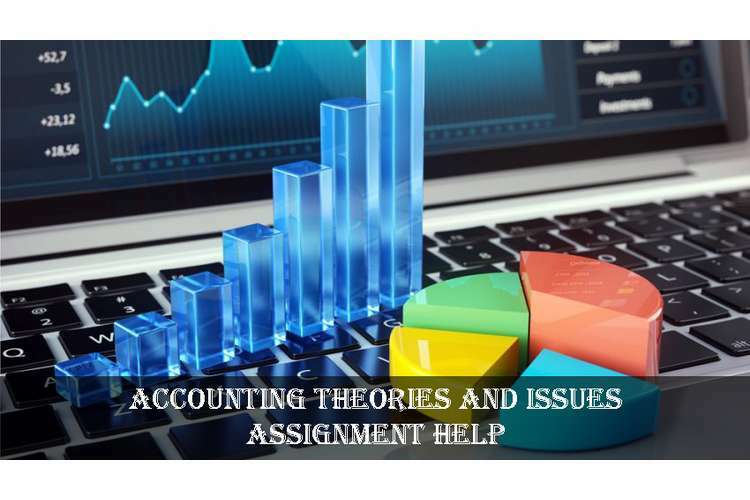 In this Accounting Theories and Issues Assignment Help a complete study has been prepared over the accounting reporting functioning of British Petroleum (BP Australia).There are various accounting and reporting issues which has been resulted into accusation of high amount of scandal. However, company has proposed plans and procedure to make changes in its business functioning and reporting principles to mitigate accounting and reporting issues. The elaborated international accounting management and accounting rules has been very much help for business functioning of British Petroleum (BP Australia). Casabona, P.A. & Gornik-Tomaszewski, S. 2014, "From the accounting issue co-editors", Review of Business, vol. 35, no. 1, pp. 3. Gîju, G.C. 2015, "Accounting Issues Regarding the Merger of Companies", Valahian Journal of Economic Studies, vol. 6, no. 3, pp. 99.